As a smart marketer and business owner you need to think beyond just gathering traffic to your social media platforms. 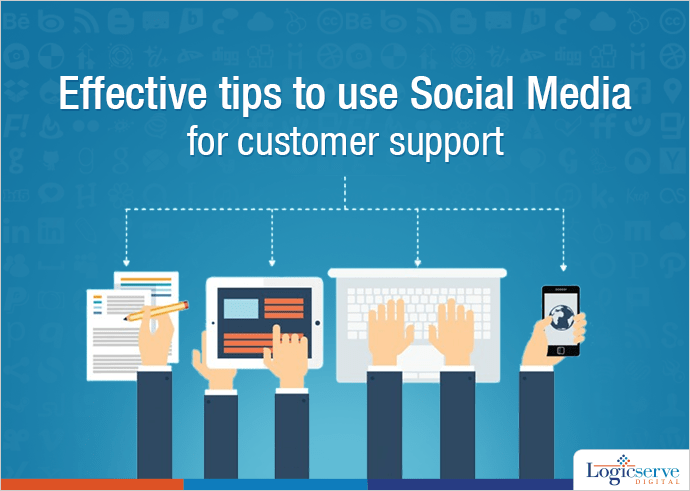 You need to take a step further and take measures to focus on relationship building and providing customer service through social media. This is because advantages of social media no longer remains confined to mere brand awareness. It goes ahead to help you retain your customers and develop your businesses. For a businessman, hearing what customers have to say about the products and services offered by their company on social media would be a precious tool! But, how to get that valuable feedback from your loyal customers? You can do this in two ways – through regular content marketing or having conversations with the existing customers. Following are some of the interesting tips that can help you achieve this. Connect with your customer in real time. Invite them for conversations. Go beyond the generic style “Please call us, so that we can resolve your query.” Give them instant solutions when they discuss their problems or queries online. 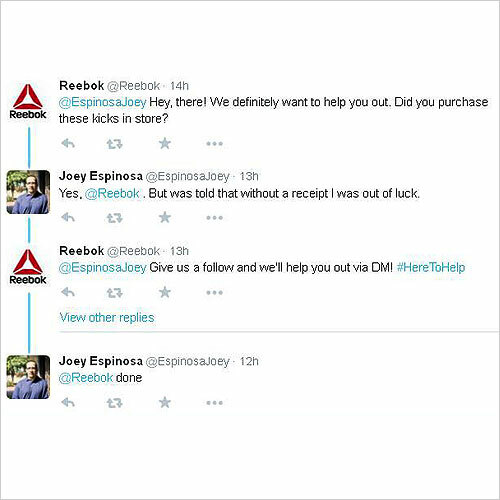 For example, check the Reebok twitter streamline and how they redress their customer complaints. 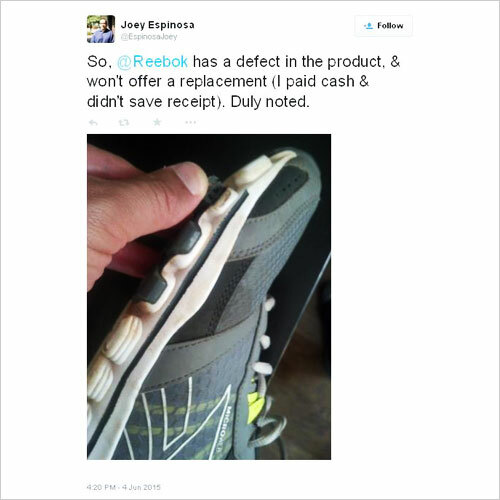 The consumer has displayed the defect in the product live on twitter and that is quite a serious issue for a well established brand like Reebok. Look, how they managed to handle this complaint subtly. It makes us feel unsettling and rude when someone does not heed to what we speak? The same will hold true when your customers have to say something and you fail to pay attention on social media. Conversations are always two-way process and so when you invite someone to join your conversations, it is expected you to be supportive and attentive to solve their queries and have lasting customer relationships. 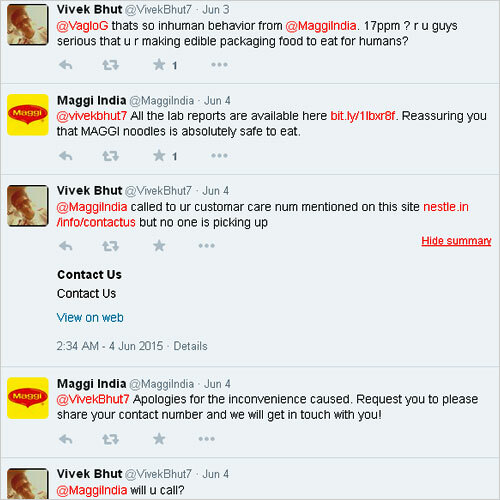 For instance check out the Nestle Maggi’s twitter streamline to see how they are addressing their recent ban issue. Maggi is making every possible effort to retain their customers by addressing their complaints live on twitter, promptly. Delayed responses can create a blunder for you. Your delay can become more of a trouble than the initial query. On social media, as you know, it takes no time to create a social media embarrassment with its lightening fast speed. Even a day lag in responding can be shattering for your company’s reputation. So, make sure your social media team responds promptly. For example, look at the above given Maggi Twitter Streamline image, you must have observed that there is hardly any time gap between the tweets and their replies. We don’t know what happened at the end of their conversation, but still we can see the efforts made by the company to redress the complaints. At least, it doesn’t make you feel ignored, but instead valued. What do your customers see when they visit your page? Do they find an abandoned page with no latest updates? If your answer is yes, then it is high time you keep your profiles active on the social media platforms. A stagnant page with no conversations and updates leaves a negative impression that the company does not value its fans. It is quite understandable to have an urge to answer back angrily when you spot an outrageous tweet or comment on Facebook page. Well, the best way to handle this is, face it promptly! Suppress your anger and respond with something positive and thoughtful. Surprise your critic with something positive by sending a direct message or responding on the respective forum. You never know your convincing response may turn them into your advocates! Scan the customer review sites regularly to see what your customers have to say about you and your competitors. It is worth launching an offer when you find your rivals having special offers, to avoid missing out your customers. Come up with some contest or bring up something interesting to keep them hooked to your brand. Again, let’s take an example Reebok. 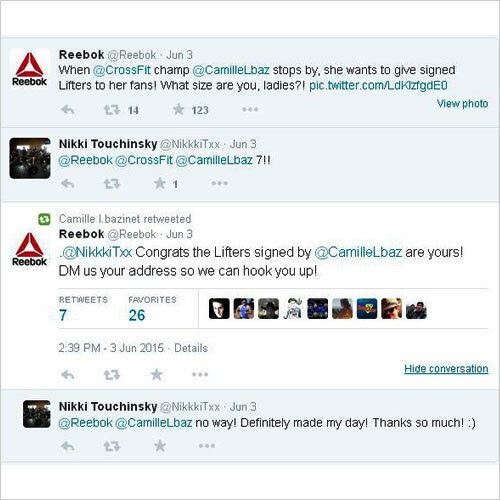 They came up with a campaign where they tweeted about Camille Lbaz who wishes to give signed Lifters to her fans. 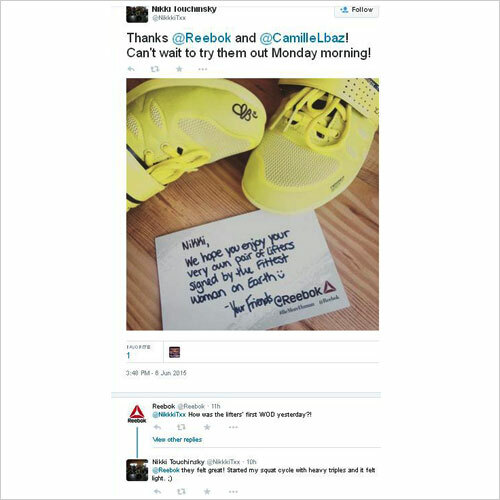 Once Reebok sent the lifters to the address, see what they do next and delight the winner. They sent a personalized note to the winner and on the next of the delivery, asked the winner how was his first experience with the Lifters. Hey! What else do you want to hook the customer? Probably, the winner is now their potential customer for their upcoming pair of Lifters! Through these strategies thousands of businesses have successfully sparked new life to their marketing campaigns and inspired customer loyalties. So, go ahead apply the above given tips and build vital customer relationships and retain them. LogicSpeak: It is important to ensure that the content you market on these social media platform should create curiosity and add value to their knowledge. Having free conversation on the value content will help you give engage your customers giving them an extraordinary experience and inspiring them to recommend your products and services, thereby achieving customer loyalty.